This work explores what it means to be a saint, to always be walking on the edges - geographically, physically and spiritually. Saints give us an idea of what we could be if we had the courage and faith to move out of our comfort zones and truly begin to live in the presence of God. 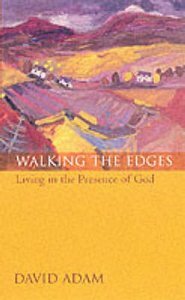 The author calls on us to take this path, painful as it may be, since it is the only way open to the Christian serious about growing in faith. Walking the Edges is inspired by the stories of St Martin, St Patrick, St Cuthbert and other. - Publisher Drawing on the lives of the Celtic saints, Adam explores what saintliness really means. Drawing on the lives of the Celtic saints, Adam explores what saintliness really means.